Where to Buy in L.A.
A few years ago, two sixth graders from the Center for Early Education in West Hollywood applied for admission at both Harvard-Westlake and Brentwood Schools. Each school took one of the two students that spring as it prepared to fill their entering class. But Harvard-Westlake Director of Admission Elizabeth Gregory soon found out from Center administrators that the student she admitted had actually indicated that Brentwood was her first choice. 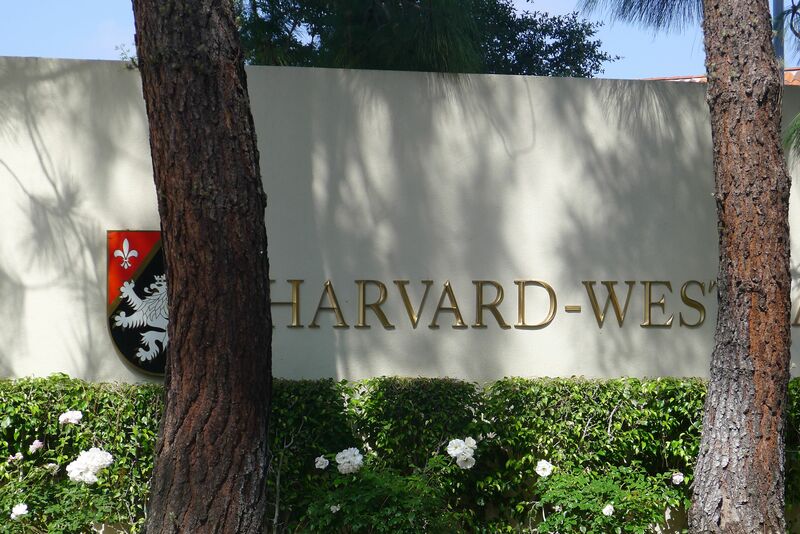 Soon thereafter, the Brentwood admission office got word from the Center that the student they accepted had indicated Harvard-Westlake as their first choice. A few phone calls later and Gregory was on the phone with Brentwood. Feeder schools like the Center are prized because of their ability to fulfill a family’s first choice in secondary school admission. While a student swap is not so common, it is common for feeder school administrators to make phone calls on a student’s behalf. This year, the Admission Office indicates that there were about 1,035 students applying for admission to the Harvard-Westlake Class of 2013. Of them, around 95 were from three local feeder schools: the Center, the John Thomas Dye School in Bel Air and the Mirman School on Mulholland Drive. These three schools also appear to have the most success when it comes to offers of admission as well — 58 students, or 24 percent of the entering class, have matriculated to Harvard-Westlake from the three schools. Carlthrop Elementary in Santa Monica, as well as Curtis and Stephen S. Wise schools on Mulholland Drive also send many students to Harvard-Westlake’s seventh grade each year. In the ninth grade, Saint Matthew’s School in the Pacific Palisades and Walter Reed Middle School in North Hollywood send droves of students annually, largely because they do not offer a high school, Gregory said. So how exactly does a school become a feeder school to Harvard-Westlake? The quality of education, preparation and packaging of students may have something to do with it. So might the close ties school officials often have with Harvard-Westlake and current Harvard-Westlake administrators. Ray Michaud traded his morning trek through Coldwater Canyon Avenue traffic for an equally grueling excursion up Chalon Road in 1979. Now the Headmaster of the John Thomas Dye School, Michaud had served as Harvard-Westlake’s Assistant Head of Upper School until leaving to take on his current position. 24 students from JTD will be matriculating to Harvard-Westlake next year. Michaud’s connection to Harvard-Westlake is a typical phenomenon of the other three large feeder schools: Mirman Headmaster John West was a dance and physical education teacher at Harvard-Westlake, and Deirdre Hudnut, named by West Magazine as one of the “most powerful people in Los Angeles,” is the wife of Harvard-Westlake President Tom Hudnut serves as the Center for Early Education’s Director of Admissions. Reveta Bowers, Director at The Center, also served on the board of Westlake School before it merged with the Harvard School in 1991.“I think it is very important to maintain strong relationships with these three schools,” Gregory said. Michaud still remains fairly close with school administrators and former colleagues. “I am still close with Elizabeth Gregory in the Admission Office and [Head of Middle School] John Amato, but there aren’t too many left from my day,” Michaud added with a chuckle. The Admission Office also plays a part of its own when it comes to generating interest at those three schools. In the last two years, Gregory and others on the Admission staff have made recruitment presentations to John Thomas Dye, Mirman and the Center for Early Education. “We like to generate as much interest in the school as possible, and these visits are a way of doing that,” Gregory said. While the shared history between Harvard-Westlake and these feeder schools certainly seems to generate additional interest in the school, it is not necessarily the cause for the higher admit rates from those schools. These schools do a good job of preparing students for a career at Harvard-Westlake. “It is true. Students from these three schools are better prepared,” Gregory said. In his February 2006 “State of the School” address, Michaud boasted “JTD students score 20-30 points higher on their ERBs than other elite schools within the National Association of Independent Schools. “Our type of academic program is similar to what is offered at Harvard-Westlake,” Michaud said. “Our students begin a block schedule, moving from class to class by subject, beginning in fifth grade,” he added. Michaud said that JTD department heads often speak with middle school department heads in an effort to try and synchronize the curricula between the schools. At Mirman, where 13 students in a class of 32 will matriculate to Harvard-Westlake next year, students must have an IQ equivalent of 145 or higher to attend. Last year, 22 Mirman sixth graders matriculated to Harvard-Westlake. At the Center for Early Education, which will be sending 21 students this year, students are groomed and packaged specifically for the purpose of secondary school admission. “It’s not only about the student when it comes to secondary school admission, it’s about the family,” Levy said. Preparation begins in the fifth grade when students and their parents meet with members of the administration to preview the upcoming application process and find possible match schools. There is also a parent night in the spring of fifth grade in which the principal and vice principal discuss essay writing and interviewing techniques, as well as test preparation. Booklets outlining and indexing high school matriculation are also distributed. The grooming at the Center continues in the sixth grade, as there are more student-parent meetings. After applications have been sent, students submit a list of their preferred secondary schools so that administrators at the Center can push for students’ first choices, as illustrated exaggeratedly, in the Brentwood student swap. Michaud said he also makes calls on behalf of JTD students, if necessary. “All big feeders try to represent a student’s first choice school to the admission office and we then try to make the best decision for that family,” Gregory said. One final link between feeder schools has little to do with bustling young minds, but rather the men and women who spawned them. Feeder schools boast parents who are active and involved in the education of their child, a quality the Admission Office takes note of, Gregory said. “These elementary schools tell their parents that the more active than they are, the better they look to secondary schools, and many parents listen because the sending school will let us know how active a parent has been as part of the application. Sometimes they will even write a letter talking about how a family was active,” she said. Still, it is only certain types of involvement that impress Gregory and her staff. “We don’t really care if a parent baked cookies for the fair, but if a parent has been on a board, that’s a big deal,” she said. Parents are also more active financially at feeder schools, she said. At John Thomas Dye and The Center for Early Education, school endowments approach $20 and $30 million respectively, according to school administrators. Mirman is in the process of building its endowment, but school administrators there did not have any figures to release at this point. Harvard-Westlake currently has an endowment of more than $40 million and is working on expanding that figure, according to the school’s Advancement Office. Gregory was cautious when discussing the schools policy on using the ability to contribute financially as a factor in admission. “We will take risks on students for whatever reason, so long as they are willing to work hard and commit to a rigorous college preparatory program,” she said. Having just gone through the 9th grade application process I find this to be fascinating. I’m surrounded by parents who have agendas for their children which include a feeder school, Harvard Westlake and then Stanford (or an Ivy). I suspect that their preschool choices had a lot to do with getting into one of those feeder schools but I find it all exhausting. By the time my kids were 10 school decisions belonged to them as much as to me and my husband, by the time 8th grade rolled around I was just there to write checks. The kids have to be happy at school, they have to be a good match in more ways than just academia. I love the long term planning but it does make me giggle…. you know, because the kids get in the way sometimes. Maybe I’ll write a blog post about when the whole feeder school plan goes awry, which it does. That sort of goes for every part of parenting. I was SO good at it until I actually had kids. I’d love to read about that! My kids went to one of the feeder schools and they were well prepared for what HW and Brentwood had to offer. The schools have deep relationships with each other. I’m curious to know how many went to HW from the Center this year too. I think a lot of people are curious. If I find the information, I’ll post it. Mirman is not considered a “feeder school” to HW, by insiders anyway. Mirman students (and the parent-body) are very independent and consider HW to be a mainstream choice, with all the good and not-so-good that that includes. Mirman respects HW immensely, but it is not the endgame. Firstly, Mirman is a “K-8” school, although they called them “rooms” and have a flex-system of grades. So kids don’t all launch as “6th Graders” going into 7th. The majority stay until 8th Grade, which can also be 9th Grade depending on how many subjects the student has taken or how old they are. They sometimes go into 10th, and it is very rare for HW to accept a 10th Grader. Some students go right into UCLA, other programs. Each student is evaluated individually and asked to consider their interests and long-term goals. The academics at both schools are rigorous. But to say HW is a feeder school belies the reality of what goes on with Mirman families. If you are looking for a third feeder school, you’d have to go with Carlthorp School, where over 30 of their class of 40 kids heads to HW each year. Kids matriculate out or graduate out of Mirman and go to many different schools. Tony East Coast boarding schools, or Early-entrance College, or home-schooling with independent study projects, and then one of two handfuls each to HW and Brentwood and a sprinkling to Loyola-Windward-Marlborough (only 1-2 a year to Marlborough, rarely to Archer) and yes, even 1-2 to Crossroads for the artsy types. Mirman has an amazing arts program in their final two years all the students are required to be in the school play, and the school musical, even at the expense of sports or other academic activities. Mirman students do very well at HW, and enjoy the social life and many offerings, but the Mirman curriculum is not geared toward getting into HW, by any means. HW is a great school. And so is Mirman. My point is that if your goal is to get your student into HW, please don’t consider Mirman a feeder school. Carlthorp School, JTD and The Center are geared-up for getting their kids into HW, while Mirman really lets the students and the parents determine their student’s course of study. Weekend Links: “Playing Hooky From The PTA” and More! Reader Poll: What do YOU want to read on the blog?